There is both excitement and dismay in Llanfair when a new French restaurant opens. The glamorous owner, Madame Yvette, tries to win over the locals, and everything seems to be going well until a string of fires plagues the town. One night the restaurant burns down, and a body is found in the rubble. 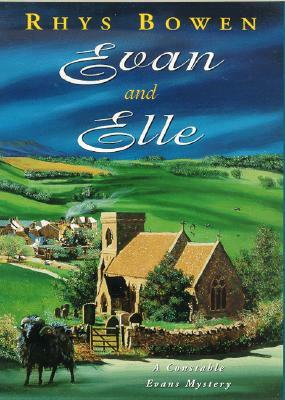 Constable Evans joins Sergeant Watkins to follow a trail of clues that leads them to the South of England and then to France, and finally to the conclusion that a dangerous killer is loose in Llanfair. Rhys Bowen is the author of the award-winning Molly Murphy and Constable Evans mysteries. Her novels have garnered an impressive array of awards and nominations, including the Anthony Award for her novel "For the Love of Mike" and the Agatha Award for "Murphy's Law." Her books have also won the Bruce Alexander Historical Award and the Herodotus Award, and have been shortlisted for the Edgar, the Agatha, the Macavity, the Barry, and the Mary Higgins Clark Award. She has also written Her Royal Spyness, a series about a minor royal in 1930s England, and she is the author of several short stories, including the Anthony Award-winning "Doppelganger." Her story "Voodoo" was chosen to be part of the anthology of the best of 50 years of "Alfred Hitchcock Mystery Magazine." Ms. Bowen was born in Bath, England, and worked as an announcer and studio manager for the BBC in London, before moving to Australia and then California. It was here she started writing children's and young adult novels, and then moved on to mysteries with the Constable Evans novels. When not writing she loves to travel, sing, hike, play her Celtic harp, and entertain her grandchildren. She lives in San Rafael, California.